Just like numerous other articles on this site, we will see another group of Muslims who are not interested in assimilating into America. Their interest is to live a complete Islamic life while expanding the reach of Islam. Today we will take a look at Philadelphia’s Al-Aqsa Islamic Society. Located at 1501 Germantown Avenue, the society is not hiding their agenda. Aqsa Islamic Society has been established to maintain the ‘Islamic Identity’ and to protect the Muslim people, the children and students alike for generations to come from the adversities of the surrounding non-Islamic environments. This effort is fulfilled through many services the Society presents to the Muslim and Arab communities in the Philadelphia area. Yes, this is not an Islamic country. But unfortunately instead of moving to one this society’s members have created their own Islamic enclave. Please keep in mind that the Islamic Society of Greater Houston, has also said they need to protect their community from non-Islamic environments. Al Masjid: The main prayer hall is located on the first floor of the facility. It accommodates about one thousand worshipers. The ongoing activities include: the five daily prayers, Friday prayers, Eid prayers, in addition to the ongoing religious classes and functions. A variety of Muslim scholars from all over the Muslim world and from the U.S. are sometimes invited as guest speakers in these functions. Some of those ongoing classes are studies of the hadith (words and deeds of Mohammad), and fiqh. The knowledge and understanding of Islamic Law. Al Amana Grocery Store: Al- Aqsa Islamic Society is proud to offer to the Muslim and Arab communities in Philadelphia Al Amana grocery store, which provides a variety of Middle Eastern and oriental commodities. Halal Meat and Poultry are also available. In addition, a catering service of Middle Eastern style is available by reservation. A book store is available for purchases of Islamic books. What kind of Islamic enclave would it be without their own grocery store? Sisters’ Activities: In the sisters’ section there is a weekly class every Wednesday from 10:00 am-3:00 pm in which Quranic Sciences, Hadith, Sirah, other Fiqh subjects are discussed. 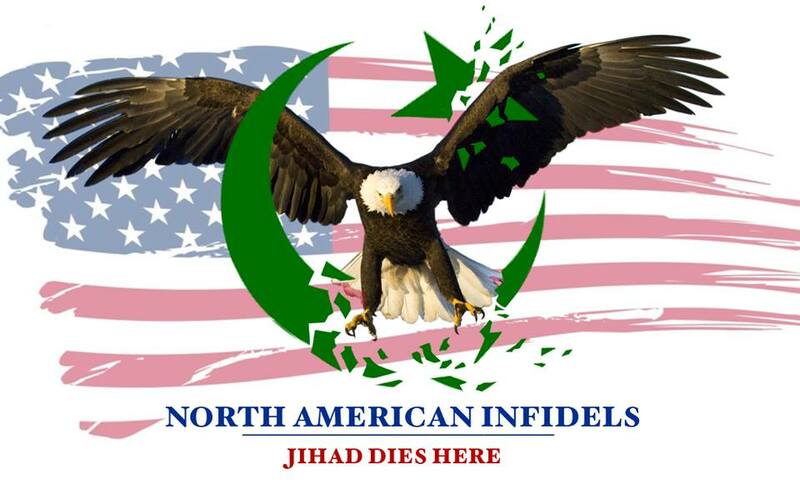 Another slice of America falls to Islam…. ← UK “Shariah Court” Calls for Obama’s Head! IN the West there is Western culture. And you can’t escape it. Unless you go back to the impoverished Orient. And then, Islam will be in its own house. Where it is dignified and loved. For Muslims to ask for our respect without earning it is the height of arrogance and foolishness. And both of these carry a high, high price. Aisha, we are on your side. They are not asking for your respect they are DEMANDING it. Slow at first but insipidly dangerous. They have a plan and you’re not part of it. WAKE UP. Do you think they will accept America the way it is? Our right to free speech. Our right to burn our own flag, burn the bible, protest, maybe even burn the Koran? If things keep going the way they are there will be beheadings in the street before you realize what is happening. While most Americans are sipping their lattes and reading the NYTs they are taking over and you have no one to blame but yourselves. I have seen it before in other countries….now it’s here. God help us. You people that insist they will take over need to take a deep breath and read the constitution of the united states.Your worst fears will never come true.You worry needlesly. More and more Mosques and Islamic schools are popping up across the country. That is because the U.S. Constitution protects Islam. It is an enabler of Islam. This is our fight. Perhaps, Katarina Ana, you are right. But then, perhaps, you are not right. Denmark is a good example. A country with an unambiguous commitment in its history to democracy, human rights and tolerance has been brutalized by its Muslim immigrant population. They do not hold the same values as their Danish hosts. Nor do they wish to. Greenland has large indigenous populations who are not Christian, but polytheists. They have suffered endless repression and brutality at the hands of Muslims who have come there. Islam is itself not tolerant. The U.S. Constitution enshrines tolerance, but that shrine is not sacred in Islam. It is not part of their history, or any they might claim. You have more to fear than you think, because you have not read the content of Islam and understood its implications. THIS IS A CHRISTIAN COUNTRY AND YES WE DO NOT LIKE ISLAMIC WAY IN OUR COUNTRY . most of the inner cities are black majority. Many who are converting are the black panthers. the black panthers can be easily removed because its a racist group. But you can’t remove Islam because it claims to be a religion. Its protected. so the black panthers have learned that conversion to Islam will give them the power to intimidate and terrorize, till the later time comes when they become so powerful they will to kill in force. For them, its about a race war. And the white leftist elites are on board with them, too. Because they want a race war. Read Bill ayers and bernadine dohrn’s communist treatise. its the real deal. think I’m exaggerting I wish I was. If you don’t own weapons, I suggest you start investing in them and learn how to use them. Its going to get very ugly. The U.S. is not a Christian country. It may have a Christian majority, but there is nothing in any of our founding documents that commands the establishment of religion. That means that religion and politics are separate here. Not good news for the Ummah. For centuries, Christians have lived in places where church and state are separate. They have fared well there. We do not need to dominate politics to have our victory, because the kingdom of Christ is a spiritual one. That is why the Christian martyr dies, and that is also why the Muslim martyr kills. The Muslim’s kingdom is the world, on earth. There is no spiritual content in their faith, thus martyrdom is the death of the other, not the death of the one. Just a little example of muslim protection from a non islamic environment. The court heard Mr Smith suffered multiple injuries, has a permanent 4.7in (12cm) long deep scar across his left cheek, and the whole of the facial part of his skull was broken.